My single hive this year was very productive. The colony has expanded greatly and I know I will have to split it next Spring. 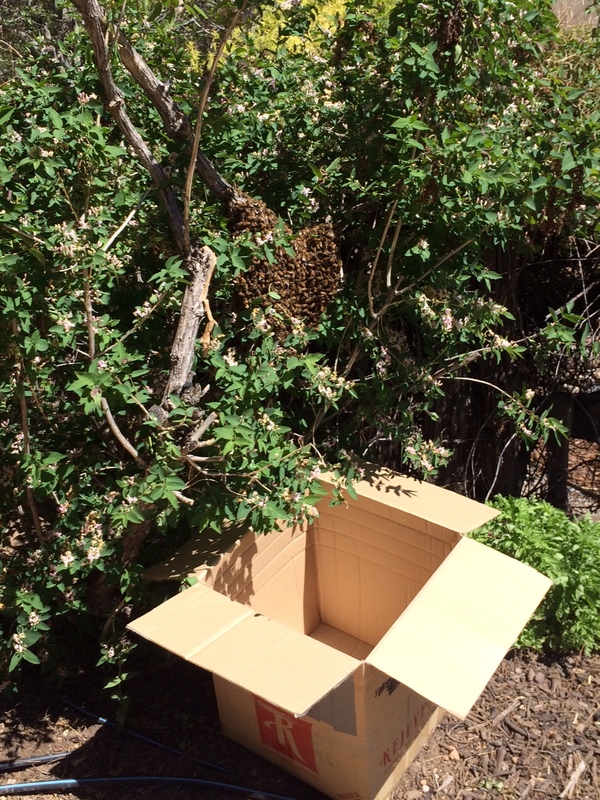 I inspected the hive and determined that I could safely remove 4 full bars of comb. I removed the oldest combs ( the ones that were the darkest). Each time a bee larva forms a pupa within the cell, it leaves behind a very thin cocoon shell in the cell. 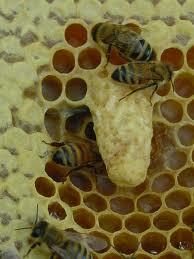 The worker bees clean out the cell for the next larva but don’t remove the cocoon. 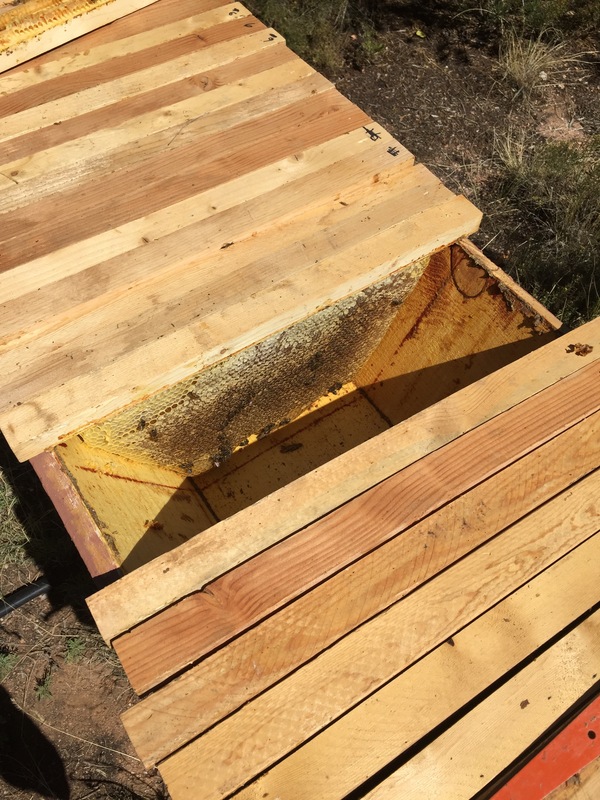 After a while, the combs get darker and darker as the shells build up and it’s good practice to remove them as not only do they make the cell smaller, they can contain small amounts of toxins and harmful organisms that the bees have brought into the hive and can create problems. I then cut the comb off the bar and crushed the comb into a sieve. 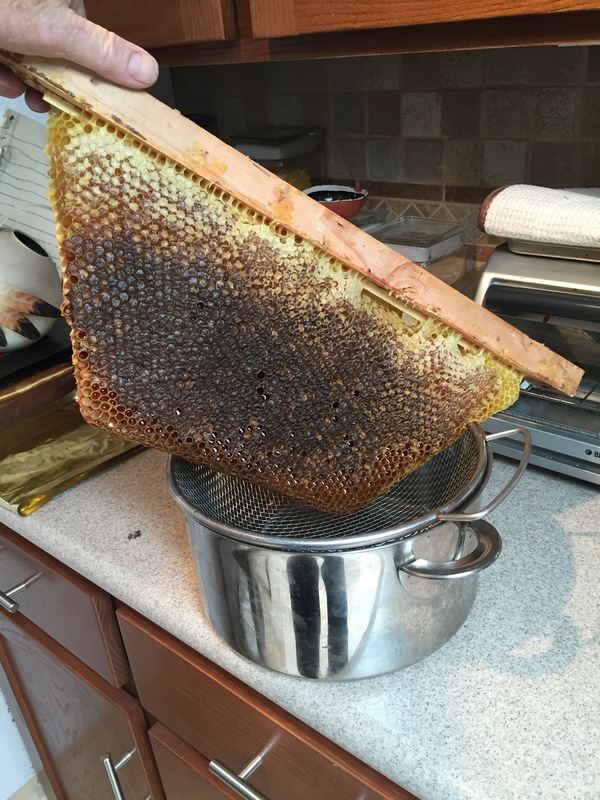 Leaving the comb overnight allowed the honey to drip through, leaving the wax and debris behind. The next day I poured the honey into the jars. I then melted the wax in a separate pot and poured it through a fine sieve lined with cheesecloth. The result was a clean block of wax. 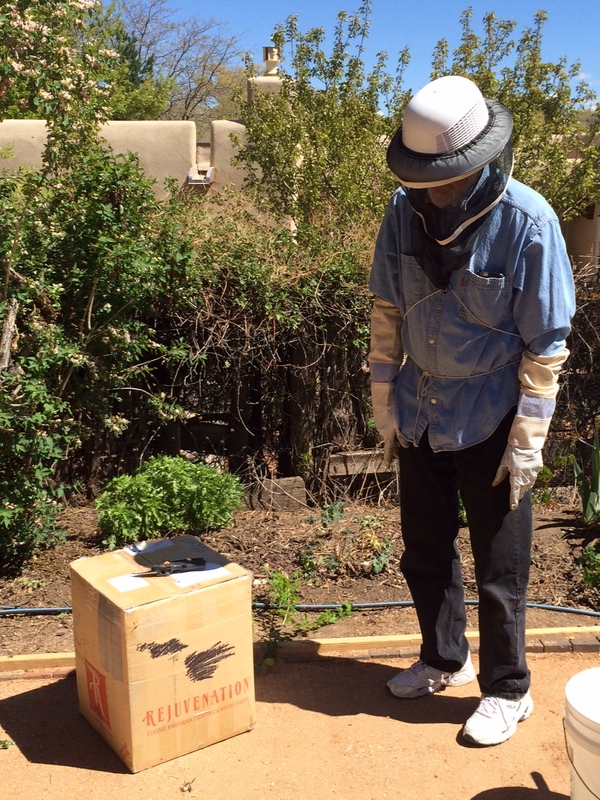 From all of this I collected over 9 pounds of honey and ¾ pound of wax. Success! Thanks to the hard working honeybees I have a nice supply of honey to eat and share with friends and family and the bees have plenty of honey to last them through the winter. 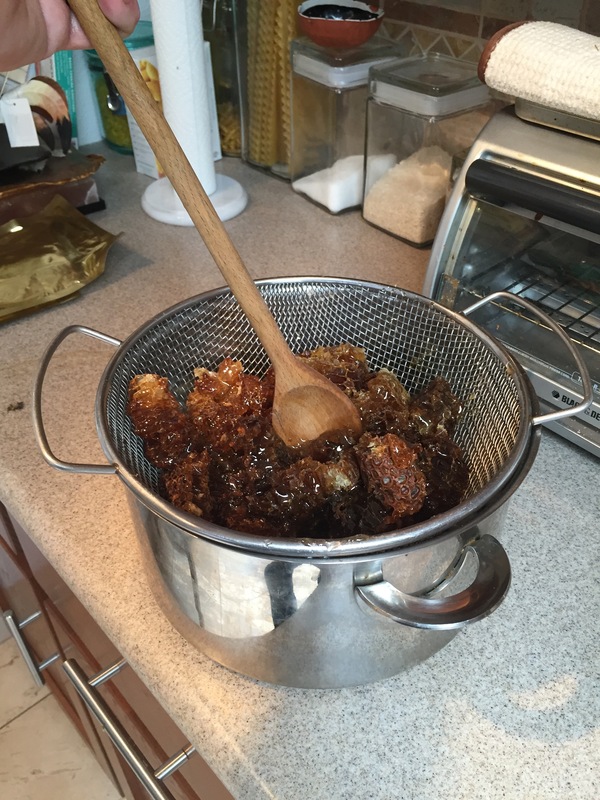 What’s in your honey…..and what isn’t? 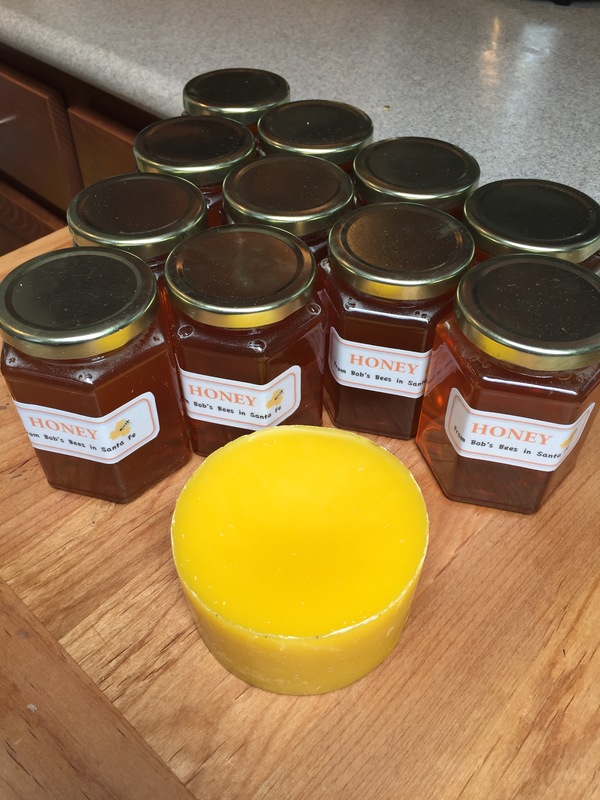 Natural unprocessed honey contains pollen. Lot’s of pollen. And pollen can indicate where the honey was produced. 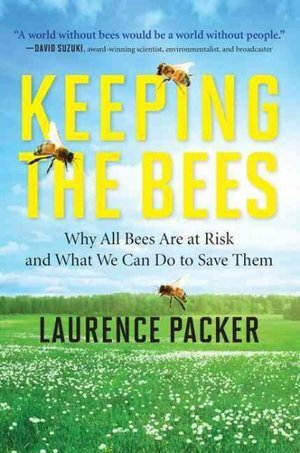 Food Safety News writes…”The food safety divisions of the World Health Organization, the European Commission and dozens of others also have ruled that without pollen there is no way to determine whether the honey came from legitimate and safe sources.” Why is this important? The U.S. has strict requirements on the quality of honey imported into the country. It must be free of pesticides and other harmful chemicals. By removing the pollen through ultrafiltration, a country can hide the origin of the honey and thus export honey that normally would not meet the strict standards. 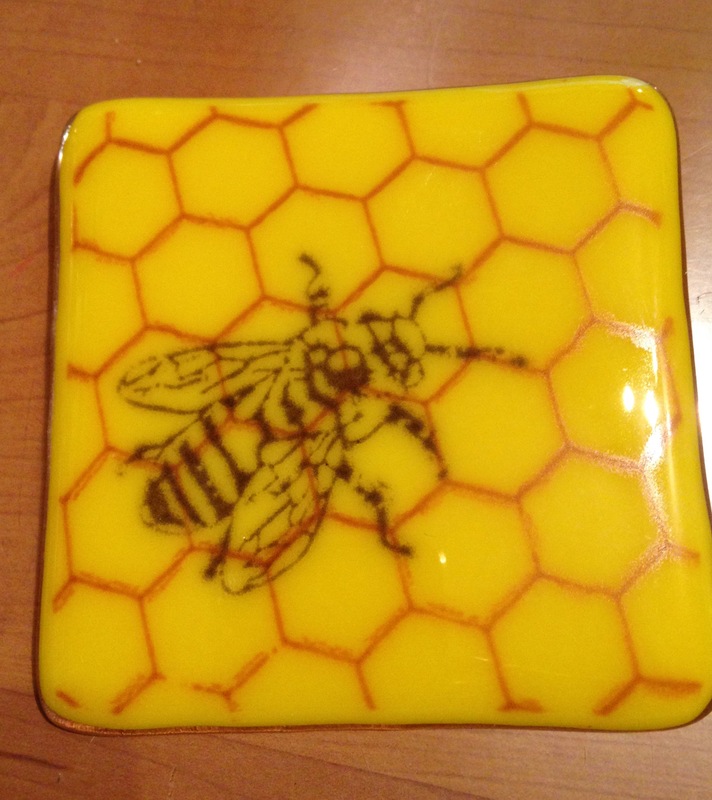 Look at the label of your honey container….. Know where your honey comes from. Bottom line: buy local if possible. To read the entire article click here. Have you noticed that the days are getting longer? No? Well, the queen bee has. 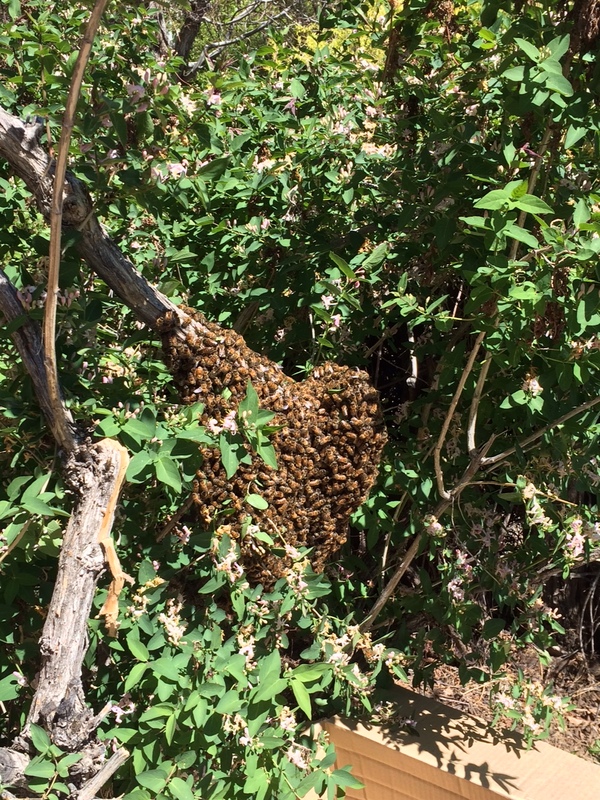 As the amount of daylight increases, the queen bee senses this change and slowly begins laying eggs. Not a lot, mind you, as it is still winter and its cold. 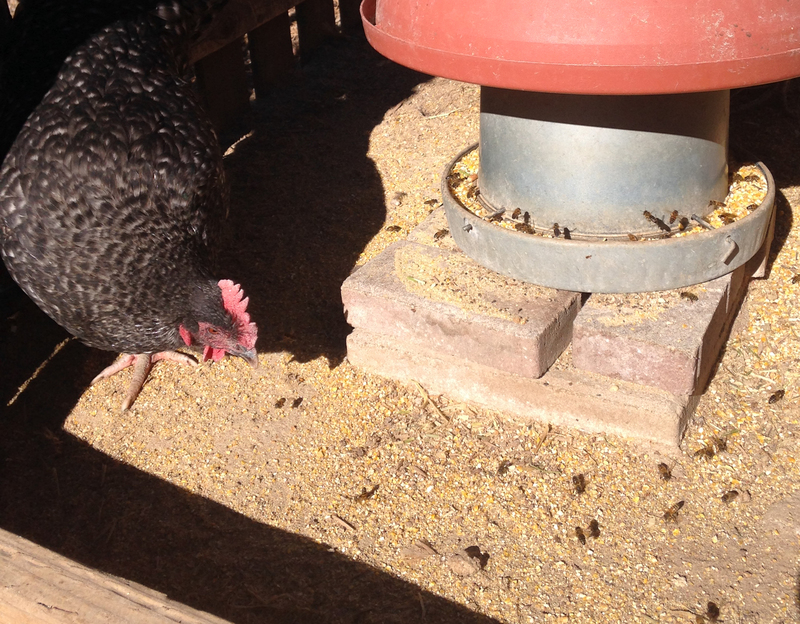 Nevertheless, the workers keep the queen warm and fed. Once she starts laying eggs, they will raise the temperature inside the hive to 90° so that the eggs will hatch and begin developing. 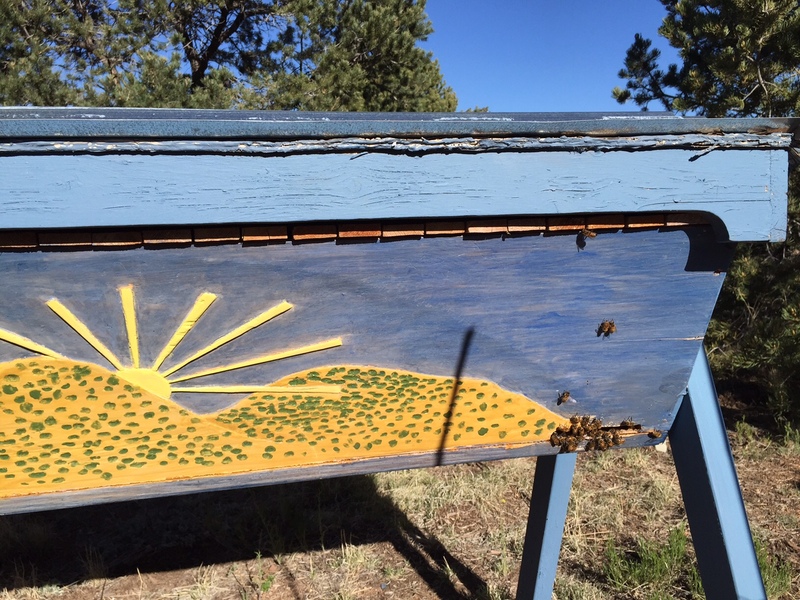 The pollen and honey that the bees collected last summer will be used to feed the larvae. The workers won’t leave the hive until the outside temperature gets above 50° and I’m afraid that will be quite a while yet! I will make them to order, so if you are interested in one, just reply to me via this blog. I also have started working in glass, making coasters and small plates and have listed them on Etsy , and my shop is named “SantaFeCraft”. I have the kiln in the garage so I call it my “studiage”. Keeps me busy and out of trouble. Hahaha! 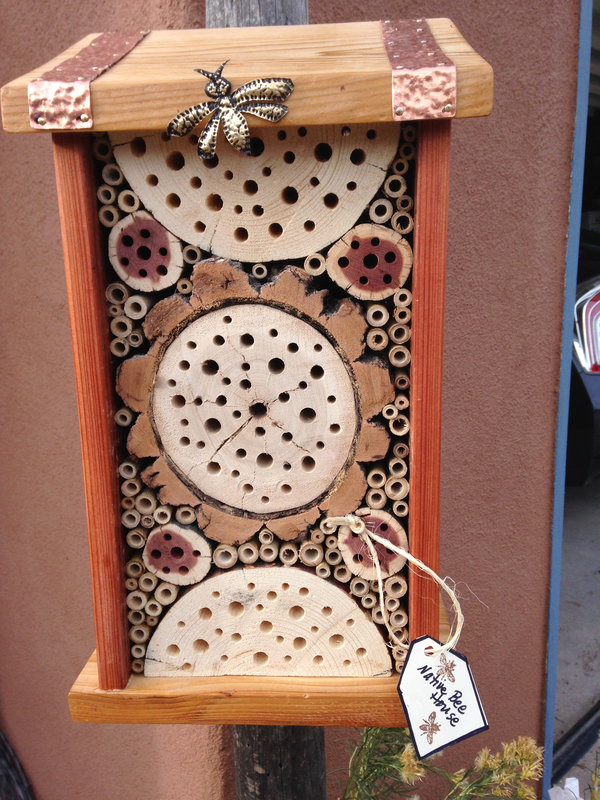 Come Spring and I will again be busy with my bees, chickens and my garden. Best wishes to all for the New Year. May 2015 bring peace, contentment and good health to all of us. 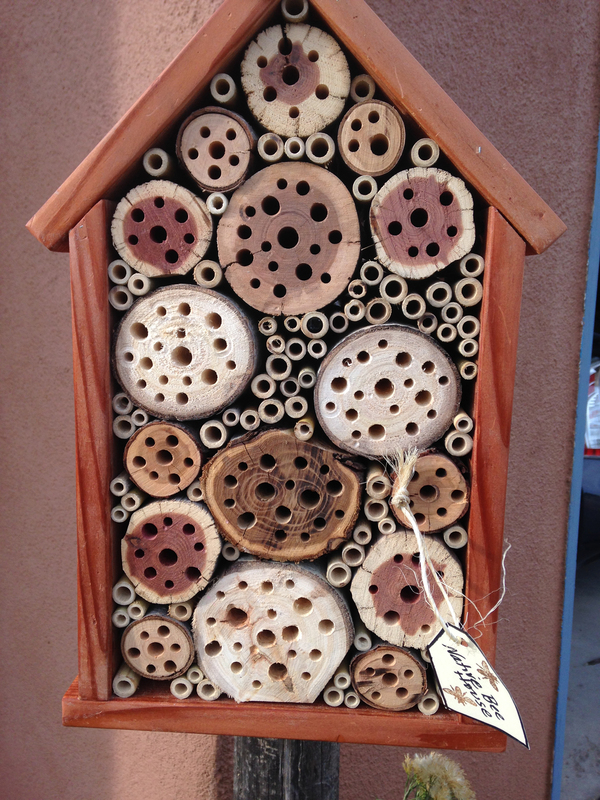 And let us not forget all our pollinator friends as well! 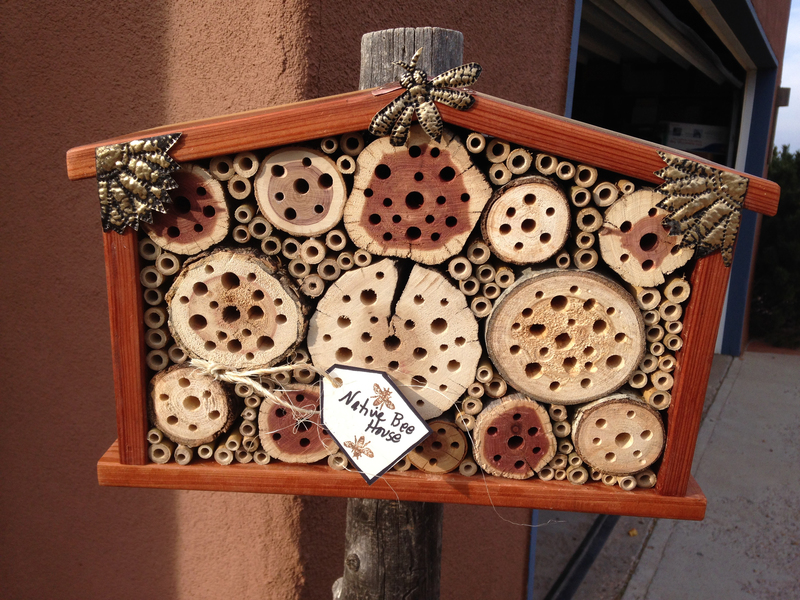 Native Bees are getting noticed!